You’ve got to give it to Bethesda. In a climate where video games are used as constant streams of revenue, keeping players hooked with endless multiplayer, micro-transactions, or the dreaded lootbox, it’s actually kind of amazing for a big company to produce a narrative driven, singe-player experience. 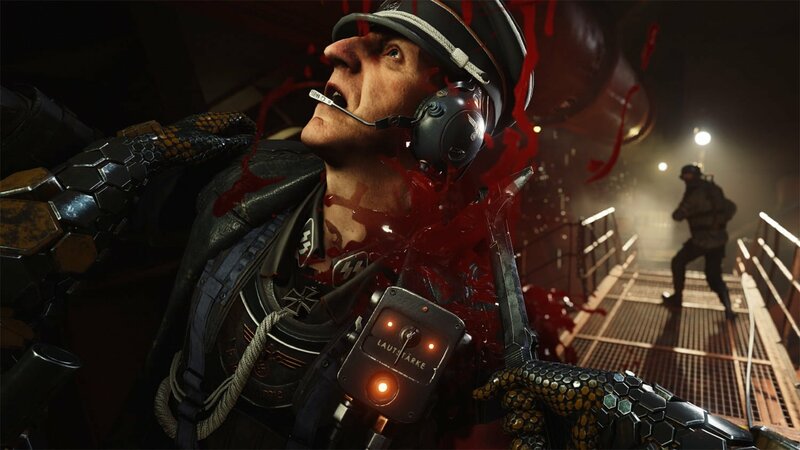 Dishonored: Death of the Outsider, The Evil Within 2, and now Wolfenstein II. You won’t find any “games as a service” action here; there is no multiplayer, no cosmetic enhancements, and no in-game currency. 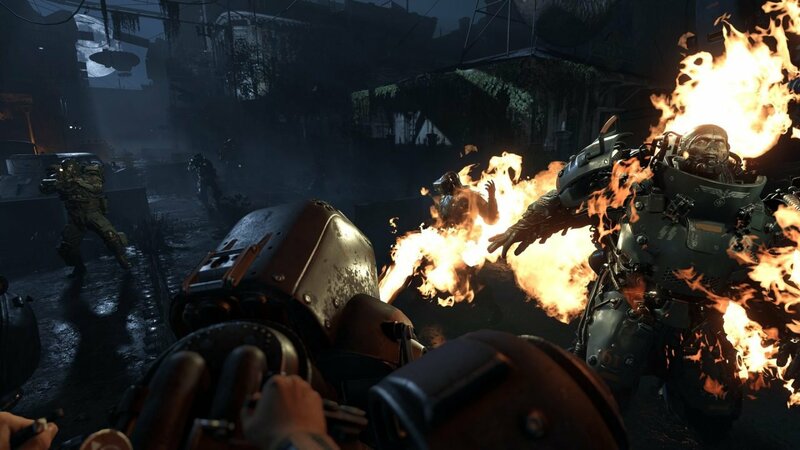 MachineGames’ Wolfenstein II: The New Colossus offers players an engaging, scripted, linear adventure with fairly simple mechanics and no “hook.” This is a video game from the days of yore, beautifully realized with 2017 visuals and tight, frenetic gameplay. When the game begins, we find our intrepid heroes on the run from the now worldwide Nazi empire. Manhattan has been nuked into oblivion, America is now a territory officially controlled by the Nazis, and a floundering resistance tries its best to keep its head above water. B.J. Blascowicz, following the events of the first game, is in rough shape. Really rough shape. The Aryan poster boy has been blown to shreds and is just barely alive when, you wouldn’t believe it, the Nazis track down the resistance, who are hiding out in their enormous stolen U-Boat, Eva’s Hammer. After some brief exposition and an incredibly brutal scene from B.J.’s childhood that gives Old Yeller a run for its money, the wheelchair bound star of the show finds himself captured by a psychotic Nazi general and her goons. Some things happen that I won’t spoil for you here, and after a chaos-filled escape and rocking a shiny new suit of ancient power armour, B.J. and what remains of his team of rebels manage to get away on their U-Boat/base of operations to bring the fight to the U.S.A. and try to link up with the pockets of resistance still battling it out on conquered territory. 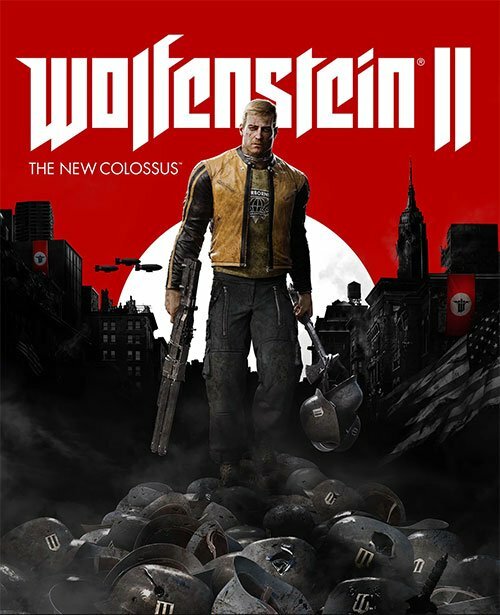 It would be easy to go into the characters and the story from this point on, but due to the fact that this game is so focused on being an epic, single-player game, that would take away a great deal of the emotional impact from the story and thus a good chunk of the entire experience. Besides, if you played the first game you know what to expect in this department. The characters are fun, the voice-acting is top notch, and while certainly fantastical, they manage to remain relatable and likeable throughout. Even the bad guys. Especially the bad guys. The gameplay itself remains rather barebones, but expertly crafted. You will be mowing down hordes of Nazis, from regular goons to robotic monstrosities and perhaps a flame-spitting mecha-dog. As in the first game, B.J. can dual-wield any combination of small arms, which consist of pistols, sub-machine guns, assault rifles, and your trusty Kraftwerk laser, as well as triple-barreled shotguns, rocket launchers, grenade launchers, and a giant laser that melts people. Now, if you’re going to be spending 98% of your game time shooting enemies, those mechanics better be locked down. Thankfully, the combat is incredibly satisfying, the weapons all have a distinct feel and tactical capability, and enemy reactions are wonderfully gory and over the top. The hatchet also makes a comeback, and cutting out the knees from under and S.S. Officer before plunging the axe into his chest feels fantastic. 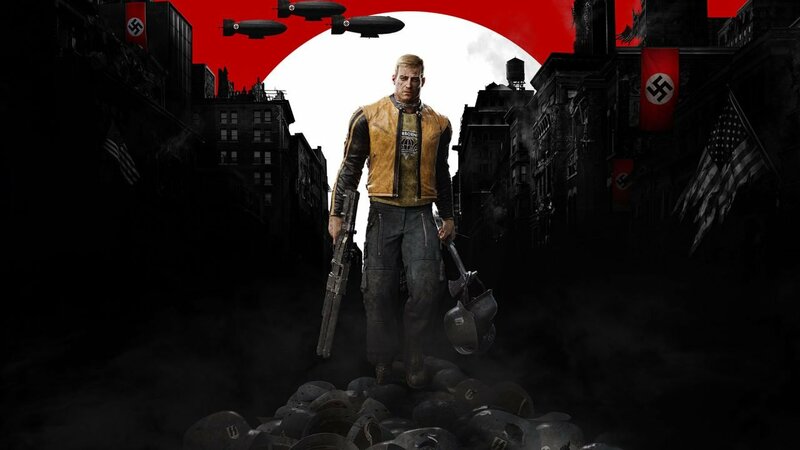 Brutally killing Nazis never gets old. Weapons can be upgraded throughout the game, with various types of ammunition, scopes, magazines, firing capabilities and the like. B.J. also has a set of perks that are unlocked Elder Scrolls style by completing various goals. Kill “X” amount of enemies with hatchet throws, and you’ll the ability to hold more hatchets. Kill “X” amount of enemies by fire, you take less damage from fire weapons. What’s fun about these perks is that thanks to the ability to replay chapters over and over, you’ll be able to get the ones you want when you want them, before the end of the game. Visually speaking, the game will knock your socks off. 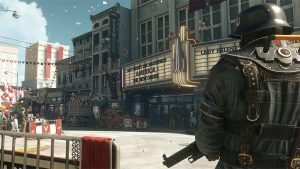 Granted, the PlayStation 4 classic version won’t have the same fidelity that the PC or Pro versions will have, but Wolfenstein II manages to look absolutely gorgeous even on that hardware. The lighting pops and will make your pupils dilate as you go from the bowels of a U-Boat lit by crimson bulbs to the eerily sunshine-dappled and tree-lined streets of small town Amerika. Character animations, especially death throes of flaming Nazi thugs or exploding Panzerhunds, are on point and everything feels fluid. The framerate was fast as hell, even during chaotic battle scenes, but there were a few instances of minor chugging or drops. On the whole however, the visuals are clean, crisp, and beautifully rendered, and the art direction and set-pieces are top-notch. If I have anything negative to say about the game, it’s that the price might be a bit steep for such a short, contained experience. I don’t want to complain because I think it’s amazing that we’re getting such a tightly crafted, single-player game in 2017, but $79.99 CAD for a game that can easily be completed in a few short play sessions is pretty pricey. Granted, it’s quite possibly the best linear singe-player game you’re going to play this year, with essentially zero flaws, so it’s a bit of a double-edged sword. If you want more games like this, the best insurance is to speak with your wallet. If you can. 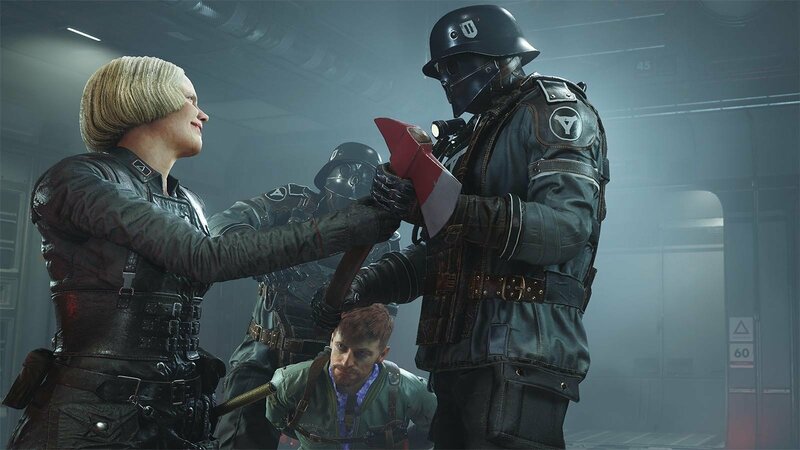 Wolfenstein II The New Colossus is a fun, fluid, exceptionally pretty shooter with an engaging story that touches on—unfortunately—relevant topics. The combat is smooth and the weapons have a real kinetic feel to them. If you’re feeling the itch to blast some Nazis in the face, you’d be hard-pressed to find a better game right now that will help you scratch it. Liked this article and want to read more like it? Check out some more Canadiana with Quinn in his interview of Captain Canuck artist, Kalman Adrasofszky, or his interview with Sean “Rammer” Ramjagsingh, of EA Sports NHL fame! Want to see more videos? Subscribe to our YouTube channel and check out the First 15 – The Evil Within 2, Forza Motorsport 7, and Cuphead! 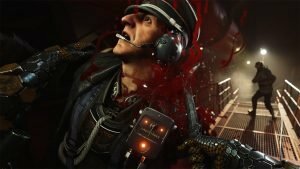 Wolfestein 2: The New Colossus is a gorgeous, fluid shooter with an delightful story and characters filled with good ‘ol Nazi killing satisfaction.